I have been on a blogging slump for a while now, because the Bard’s prophecy as he stated it in ‘King Lear’ came true, that sorrow doesn’t come single, but it comes in battalions. First both my computers crashed at around the same time and then I went into a reading slump and before I knew time flew. I got back into reading, but haven’t posted reviews of what I read. I thought I will write separate views of each book that I read in the past two months, but I know that if I try doing that, I will postpone blogging for more time. So I thought I will just post a list of books I read and brief thoughts on them. So here they are – the books and my thoughts, in the order in which I read them. I got this in a used book sale last year. It is a story set in ‘60s London. It is about a young, single woman who is a literary researcher at the university. She discovers one day that she is pregnant. Should she keep the child, or should she have an abortion? If she decides to keep her baby, will her decision adversely impact her freedom and lifestyle? Should she tell the father of the child about it? What are the choices open to a single woman who wants to have a child when the society around her doesn’t really encourage that idea? The book explores this and other related issues. 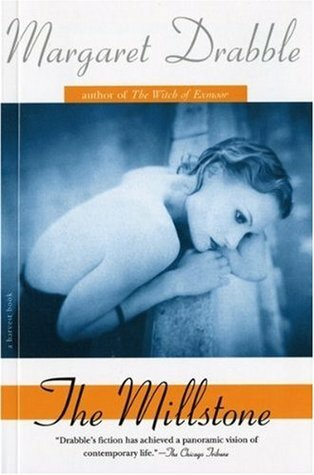 I loved the story, the themes it explored and Margaret Drabble’s prose. One of my favourite books of the year. This book definitely deserves a separate review. I later discovered that Margaret Drabble is the sister of A.S.Byatt and they have a long running feud about a family tea service. How amazing a coincidence is it that one of my favourite writers and a newly discovered favourite writer are related? And they are at war? Life never ceases to surprise! Here is the first passage of the book, in case you are interested. My career has always been marked by a strange mixture of confidence and cowardice : almost, one might say, made by it. Take, for instance, the first time I tried spending a night with a man in a hotel. I was nineteen at the time, an age appropriate for such adventures, and needless to say I was not married. I am still not married, a fact of some significance, but more of that later. The name of the boy, if I remember rightly, was Hamish. I do remember rightly. I really must try not to be deprecating. Confidence, not cowardice, is the part of myself which I admire, after all. This was the book which helped me get out of the reading slump. So, happy, happy, happy! I have had this book for years, but never got around to reading it. I am very happy that I finally gave it a chance. This collection was compiled nearly sixty years back and so it reflected the taste of that era – it had mostly stories by American and British writers with some French and Russian writers thrown in. The classics were all there (just trying to impress you that I know one or two things about short stories, which clearly is not true) – ‘The Garden Party’ by Katherine Mansfield, ‘The Standard of Living’ by Dorothy Parker, ‘The Masque of Red Death’ by Edgar Allan Poe, ‘A Good Man is Hard to Find’ by Flannery O’Connor. Many of the big writers were covered – in addition to the above, there were stories by Ernest Hemingway, V.S.Pritchett, Guy de Maupassant, O’Henry, Anton Chekhov, James Joyce, John Steinbeck, James Thurber, Virginia Woolf, Katharine Anne Porter, among others. Because of the era in which it was compiled, there were fewer women writers featured than men – from what I could count there were only nine women writers featured (that is just 18% – bad, bad!) Also, there were no writers who were not European or North American. Also, some of the legends were missing – Raymond Carver, John Cheever, Alice Munro – but this was probably because they weren’t famous or around when the book was published. But if we ignore such things, using which we judge books and people in the twenty-first century, the collection is quite good. My favourite stories in the book were these – ‘The Summer of the Beautiful White Horse’ by William Saroyan (a beautiful evocation of childhood and summer), ‘A Good Man is Hard to Find’ by Flannery O’Connor (made me remember my favourite Bogie (Humphrey Bogart) movie ‘The Petrified Forest’), ‘The Man of the House’ by Frank O’Connor (in which the roles are reversed and a young boy takes care of his mother when she falls sick), ‘The Death of a Bachelor’ by Arthur Schnitzler (with every story I read, Schnitzler keeps getting better and better. This is another story of his about an affair, told in the quintessentially gripping Schnitzler style – I should really read all his works one day), ‘The Tale’ by Joseph Conrad (a classic Conrad story in which the sea is the most important character and the atmosphere it evokes is mysterious and the plot is interesting but not really important – atleast for readers like me), ‘Putois’ by Anatole France (about the power of imagination), ‘A.V.Laider’ by Max Beerbohm (a surprising discovery for me. I want to read more of Beerbohm’s stories) and ‘The Chrysanthemums’ by John Steinbeck (about a woman who yearns to be free). I also read Katherine Mansfield’s ‘The Garden Party’ one more time and couldn’t get it once again, though this time I appreciated Mansfield’s prose and loved it. I also got to read a story by the Flaubert scholar Francis Steegmuller for the first time. I first read about Steegmuller in Anne Fadiman’s essay collection ‘Ex Libris’ in which Fadiman describes how Steegmuller and his wife, the novelist Shirley Hazzard, frequently read ‘Romeo and Juliet’ together and how that was the book they read together on the day he died. It was nice to finally read a story by him. If you are looking for a solid, traditional short story collection, you will love this. 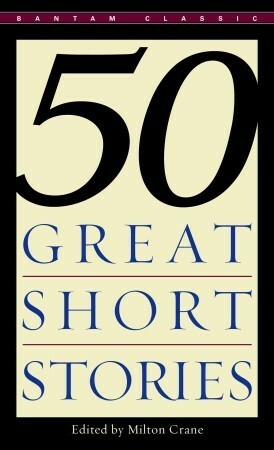 This had short stories which were really short – most were less than four or five pages long. It is a book which we can easily read while commuting to work on a bus or on a train. The book was not great in terms of the women writers featured (just six of the 38 stories featured were by women writers – bad, bad! ), but in terms of diversity, it was pretty good (25 out of the 38 stories were originally not written in English – there were quite a few German and Italian writers covered and there was even a Japanese writer featured). I didn’t like this collection as much as the previous one, as I felt that it didn’t fulfill the potential of the idea. I think there are better short shorts out there which could have been featured. 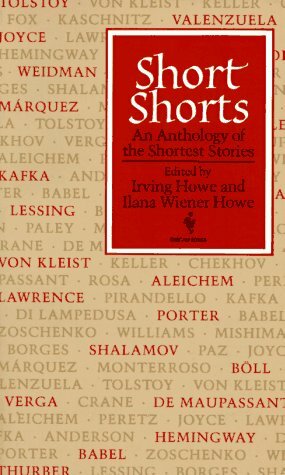 My favourite stories from the book were these – ‘Alyosha the pot’ by Leo Tolstoy, ‘Swaddling Clothes’ by Yukio Mishima, ‘Homage to Isaac Babel’ by Doris Lessing, ‘The Blue Bouquet’ by Octavio Paz, ‘Wants’ by Grace Paley, ‘The Laugher’ by Heinrich Boll, ‘News from the World’ by Paula Fox. …she would break away from me and be suddenly strange and incomprehensible, as sometimes a word, one’s own name even, will briefly detach itself from its meaning and become a hole in the mesh of the world. In moments like that you can feel memory gathering its material, beady-eyed and voracious, like a demented photographer. I don’t mean the big scenes, the sunsets and car crashes. I mean the creased black-and-white snaps taken in a bad light, with a lop-sided horizon and that smudged thumb-print in the foreground. Such are the pictures of Charlotte, in my mind. In the best of them she is not present at all, someone jogged my elbow, or the film was faulty. Or perhaps she was present and has withdrawn, with a pained smile. Only her glow remains. Here is an empty chair in rain-light, cut flowers on a workbench, an open window with lightning flickering distantly in the dark. Her absence throbs in these views more powerfully, more poignantly than any presence. I left the room and closed the door carefully behind me, as if the slightest violence would scatter the shards of something in there shattered but still all of a precarious piece. Spring is a ferocious and faintly mad season in this part of the world. At night I can hear the ice unpacking in the bay, a groaning and a tremendous deep drumming, as if something vast were being born out there. When I search for the words to describe her I can’t find them. Such words don’t exist. They would need to be no more than forms of intent, balanced on the brink of saying, another version of silence. Every mention I make of her is a failure. Even when I say just her name it sounds like an exaggeration. When I write it down it seems impossibly swollen, as if my pen had slipped eight or nine redundant letters into it. Her physical presence itself seemed overdone, a clumsy representation of the essential she. That essence was only to be glimpsed obliquely, on the outer edge of vision, an image always there and always fleeting, like the afterglow of a bright light on the retina. Well, if you want to read more such gorgeous passages, read the book. 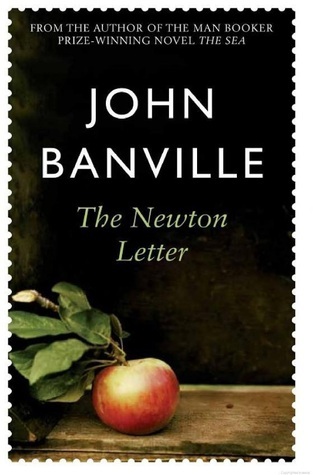 There are worse things to do in life than reading a John Banville book. I haven’t read an Edith Wharton book before. So I thought I will start with this slim novella. The story is about a man called Ethan Frome who lives in the countryside with his wife who is permanently unwell because of real and imaginary illnesses. His wife gets one of her cousins to help her out with household work. And Ethan and this cousin, Mattie, fall in love. What happens next – such stories never end happily – is the rest of the story. I loved Edith Wharton’s prose and her description of smalltown America of a bygone era. Though the story was mostly bleak and grim, it had a surprising ending. You should read it to find out what it is. 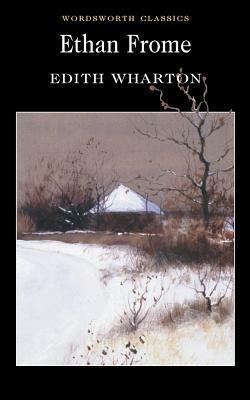 I will be reading more Edith Wharton books. The sudden heat of his tone made her colour mount again, not with a rush, but gradually, delicately like the reflection of a thought stealing slowly across her heart. I have wanted to read a James Baldwin novel for a while and I thought this was one. But it turned out to be a nonfiction book. 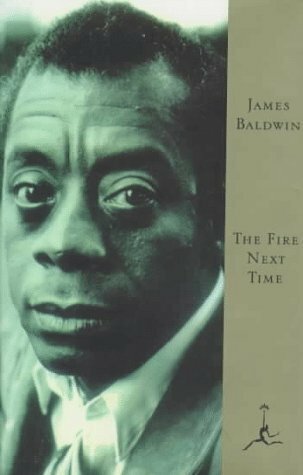 It seemed to be Baldwin’s manifesto for the Civil Rights movement in the ‘60s. The prose is simple, the ideas are powerful and the book is inspiring. Life is tragic simply because the earth turns and the sun inexorably rises and sets, and one day, for each of us, the sun will go down for the last, last time. Perhaps the whole root of our trouble, the human trouble, is that we will sacrifice all the beauty of our lives, will imprison ourselves in totems, taboos, crosses, blood sacrifices, steeples, mosques, races, armies, flags, nations, in order to deny the fact of death, which is the only fact we have. It seems to me that one ought to rejoice in the fact of death – ought to decide, indeed, to earn one’s death by confronting with passion the conundrum of life. One is responsible to life : It is the small beacon in that terrifying darkness from which we come and to which we shall return. One must negotiate this passage as nobly as possible, for the sake of those who are coming after us. As this is the centenary of the First World War, I thought I will read a novel which is set during the war. And which better novel to read than Erich Maria Remarque’s classic. I even pushed it as a book club choice last month. Unfortunately, most of my book club mates didn’t read the book. But I did. And loved it. I think I can say this – this is my most favourite literary war novel till date. This is more a statement of my ignorance (I have read very few literary war novels) than anything else. But still. I couldn’t stop highlighting while reading book. I think every page has a quotable quote or a beautiful passage. The book takes us through the whole life of a young soldier from the time he enlists to what happens on a daily basis at the front. 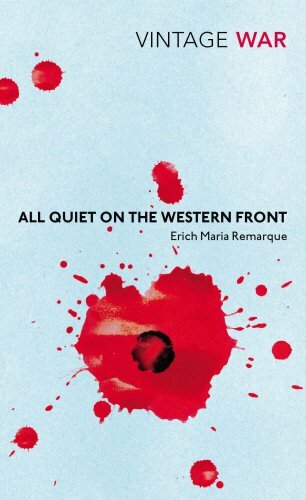 Remarque is quite frank about his portrayal of war and the insights that the book delivers are beautiful and relevant even today. There are similarities between the book and the Stanley Kubrick movie ‘Full Metal Jacket’ – I am guessing the novelist who wrote the book on which the Kubrick movie was based on was originally inspired by Remarque’s book. This is a book that I will be reading again. If I have to give it a rating, I will give it five stars out of five. Kropp, on the other hand, is more philosophical. He reckons that all declarations of war ought to be made into a kind of festival, with entrance tickets and music, like they have at bullfights. Then the ministers and generals of the two countries would have to come into the ring, wearing boxing shorts, and armed with rubber truncheons, and have a go at each other. Whoever is left on his feet, his country is declared the winner. That would be simpler and fairer than things are out here, where the wrong people are fighting each other. I have wanted to read this book for the past few years because it was highly recommended by a friend. I got to read it finally. There are two story arcs – one is set in the present time (that is 2059-60 AD) and the other is forty years before that. In the present time, news comes out that a group of Jesuit priests and scientists have gone on a mission to a distant planet in another solar system and some strange things happened there and only one priest was able to come back. No one knows what happened. This priest refuses to speak. We are told the story of what happened through events in the past and through the story told by this priest Emilio Sandoz. The things I liked about the book – the story is interesting, the characters are real and likeable, the descriptions are beautiful and the dialogue is snappy, fresh and stylish, like it is in the best movies. I loved the character of Anne Edwards – in my opinion she was the heroine of the whole story. The thing I had problems with – the book explores the theme of faith through science fiction and I am not sure whether that worked well. I don’t think it did. But other readers feel differently. There are times, when we are in the midst of life – moments of confrontation with birth or death, or moments of beauty when nature or love is fully revealed, or moments of terrible loneliness – times when a holy and awesome awareness comes upon us. It may come as deep inner stillness or as a rush of overflowing emotion. It may seem to come from beyond us, without any provocation, or from within us, evoked by music or by a sleeping child. If we open our hearts at such moments, creation reveals itself to us in all its unity and fullness. And when we return from such a moment of awareness, our hearts long to find some way to capture it in words forever, so that we can remain faithful to its higher truth. So, that is what I read during the last two months. Or rather, that is what I read this summer 🙂 What did you read this summer? 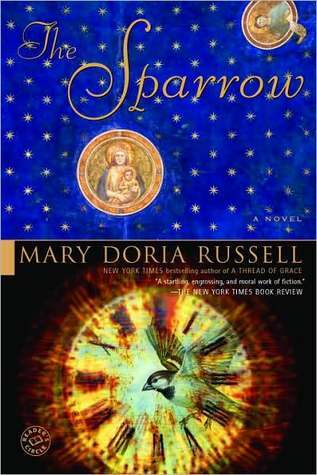 Have you read any of the above books? What do you think about them?